Destiny: The Taken King is a much more substantial package than The Dark Below or House of Wolves. Destiny: The Taken King is $40 or regional equivalent, which is twice the price of either mini-expansion to date. During an IGN video, as transcribed by Gamespot, Bungie community manager Eric “Urk” Osborne said that, as you’d hope, the new expansion contains at least double the content. “I don’t have any trouble saying that The Taken King is well more than twice as much content as the Dark Below,” he said. “The story’s great, there’s seven Crucible multiplayer maps, there’s three brand-new Strikes, and they’re the best Strikes we’ve delivered to date. “We’ve got the Dreadnaught, which is not just a big new destination to explore, it’s really deep and layered, there’s tons of little secrets and things you can collect [and] riddles and clues and stories and quests and quest logs and more guns and more gear and exotics. Quite a round up. For comparison’s sake, The Dark Below added four story missions, a couple of quests, two Strikes (although one was PlayStation exclusive), three Crucible maps, new Bounties, the Crota’s End raid, new PvE elements and a pile of new gear. House of Wolves added six story missions, new Bounties, one Strike, four Crucible maps, the Trials of Osiris PvP event, the Prison of Elders arena, two new social spaces, new PvE elements and a pile of new gear. It’s sort of hard to compare the two expansions size-wise because mileage varies on the differing content of each. The Taken King launches on September 15 and includes a “full” campaign in addition to all the stuff mentioned above. 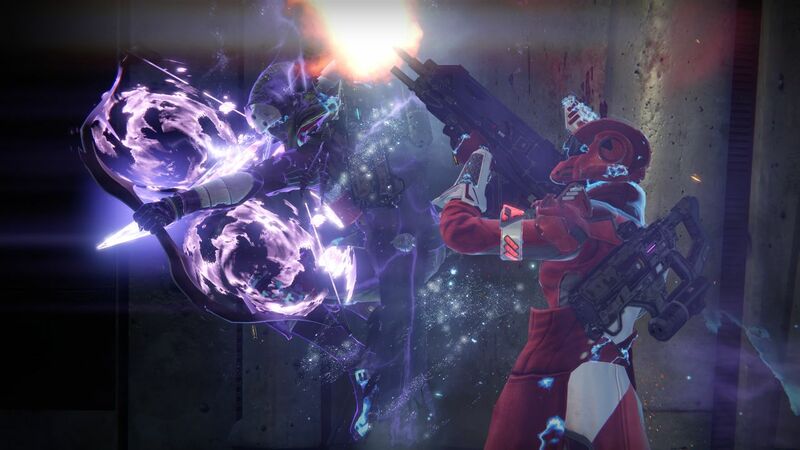 It’s making some dramatic changes to Destiny’s systems, too – actually, you know what? Just get caught up on what you need to know about Destiny: The Taken King.